Come ride with the Ferrante Ranch, California’s top professional trainers, instructors and judges. Whether you are looking to learn the basics of a working a cow horse, advance your skills riding a cutting horse or want to be trained in the traditional methods of reining, we are ready to help. The Ferrante Family has more than 150 years of experience training and showing horses throughout the surrounding areas in Los Angeles, Ventura, and Santa Barbara Counties. From beginners to top professionals, Ferrante Ranch wants to help you and your horse become successful. Call us at (805) 276-4892 today. 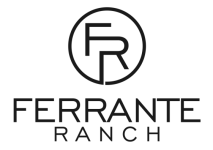 Ferrante Ranch is a multi-discipline training facility that focuses on training a horse or rider’s natural talents and transforming them into competitive contenders. We specialize in training horses of all breeds and coaching riders of heavy western performance of all levels. Whether you are starting out as a new rider or are looking to expand your skillset as a professional rider, we can assist with training for competition, pleasure, performance, and everything in between. Because we believe in coaching for the purpose of constant self-improvement, we primarily focus on helping riders understand horse behavior, sharpening horsemanship skill, and if necessary, re-educating older horses. Our ranch was built on a longstanding dream: one that consisted of benefiting horses, riders, and the people who love horses. We offer decades of solid horse training experience and education so we can help you accomplish your goals and maximize your relationship with your horse.